Alumni are using their creative powers to educate the next generation of STEM workers and battle a U.S. shortage of STEM talent. Lucas Landherr ’05 is standing before a group of juniors and seniors at Northeastern University about to teach a lesson on fugacity. The associate teaching professor of chemical engineering knows the complicated thermodynamic concept usually generates more head scratching than nodding among students, so he’s brought a secret weapon: comics. The 10-page booklet he hands out stars an illustrated version of the 34-year-old bearded professor’s alter ego, who breaks down the key elements of fugacity in his signature lab coat and Red Sox cap. The comics aren’t meant to replace engineering textbooks or classroom lectures, but they do help students grasp complex ideas, which in turn boosts their confidence in learning and pursuit of careers in science, technology, engineering, and math. Click for the full comic. 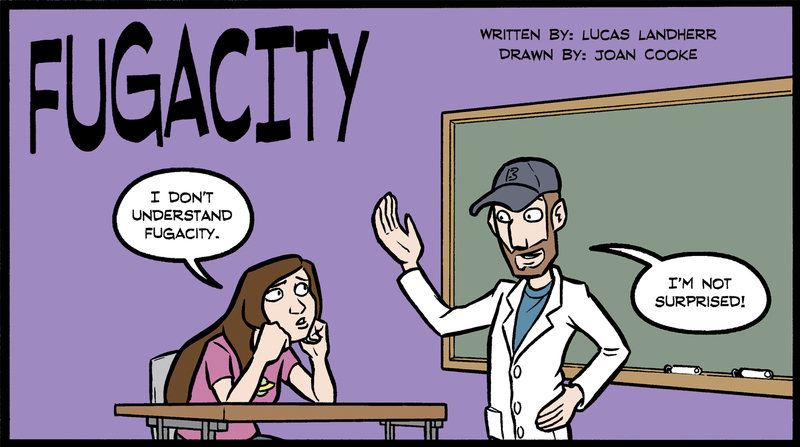 “I take concepts I know students have struggled with and incorporate the questions and concerns they have shared with me about a topic and turn it into comics,” says Landherr, noting professors from across the United States as well as the United Kingdom, Belgium, and Denmark have implemented his comics into their curriculum. The first booklets were such a hit with undergrads—he’s produced nine on different topics with the help of professional and student artists—he is now working to secure grants to create STEM-based comics for K-12 classrooms. Landherr, who was named one of “35 under 35” notable chemical engineering professionals in the country in 2017, is just one of the Lafayette alumni who are writing the next chapter in the story of STEM education. From comic books in university lecture halls to robot wars in middle school classrooms, Lafayette grads are using innovative tools and creative teaching methods to make students not only want to study science, technology, engineering, and math, but also believe they have the chops to excel. Building that confidence is critical. Research shows students who lack confidence in math and science classes are less likely to pursue careers in those fields. Which means that when material and concepts get hard, teachers need to get creative—if they want to keep their students interested, motivated, and convinced they can rise to the challenge. There is growing recognition that the old-school mentality that certain brains are just naturally wired for math and science is a problem. STEM educators like Landherr are bucking the once-pervasive attitude that if you weren’t born with an innate ability to decipher equations and formulas, you were to find a career elsewhere. After all, that philosophy hasn’t helped U.S. students—and it certainly hasn’t helped the U.S. economy. The U.S. is in dire need of more skilled, educated workers who are ready to step into STEM occupations. STEM workers play an important role in developing innovative, cutting-edge technologies and solving some of the world’s most critical problems. If the U.S. expects its future scientists and engineers to develop alternative energy sources, prevent cyberattacks, feed a growing population, and cure cancer, STEM education not only needs to be a national priority, but also the way it’s taught needs to be more engaging and inclusive of a wider audience. It’s anticipated that 50 percent of future jobs will require STEM skills, according to the U.S. News/Raytheon STEM index, and the U.S. simply isn’t producing enough talent to keep up with demand. During the 2014-15 school year, 30,835 graduates earned a degree in STEM, while 230,246 new STEM jobs were added, according to the STEM index. And in 2016, the U.S. had roughly 3 million more STEM jobs available than skilled workers to fill them. The shortage of STEM talent in America isn’t exactly surprising. Academics, industry leaders, and government officials have been expressing the need for a pipeline of STEM-career-ready grads since the 1980s when American students’ standardized test scores began to slip. The federal government took notice and commissioned what has since become a landmark report that predicted a national economic disaster if schools didn’t start putting a greater emphasis on math and science skills. This resulted in the standards-based educational reforms of the 1990s. Enter SMET, the National Science Foundation’s attempt to coin a catchy acronym comprising its four academic priorities: science, math, engineering, and technology. As Ramaley predicted, STEM stuck and within the next decade, became the focus of the nation. Schools, universities, and companies devoted resources to science, technology, engineering, and mathematics education. 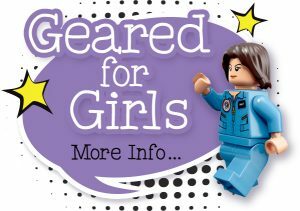 STEM camps, STEM magazines, STEM scouting badges, and even a STEM Barbie made it a full-fledged brand with mainstream recognition. But it wasn’t enough, and American STEM performance continued to lag. Why? Quite simply, experts say, educators resisted swapping traditional teaching methods that focused on theory for real-life applications that melded disciplines. Testing students on their ability to memorize the periodic table is one thing. Leading students on an exploration of social, economic, and scientific impacts of chemical compounds on the atmosphere—and then having them create a video about it—is another. Currently, Van Aken’s students are working to develop original 3-D interactive applications for augmented and virtual reality games, which requires skill in programming, 3-D modeling, animation, graphic design, and advanced knowledge of game theory. Leveraging modern tools is what brought Van Aken’s robotics team of 13- and 14-year-old students to the attention of the United States Navy. The team ranked 36th out of 300,000 teams in the world at the Seaperch Underwater Robotics Competition. And in 2017, two of Van Aken’s students won the National STEM Challenge in Game Design, a national honor with a field of more than 20,000 competitors. Recognition of the lost art of tinkering has helped propel the growth of “maker spaces”—areas at schools and colleges that encourage students to do hands-on work with everything from glue guns and cardboard to iPods and laser cutters. Van Aken’s school leveraged sophisticated technologies and programming as a requirement long before it was trendy. Students were working in a paperless environment in 2005 and using a 3-D printer in 2009, years before that was the norm. While no one could dispute the value of having a STEM-educated workforce, some argued that the country’s focus on four disciplines was too narrow and short-sighted. In order for America to really be innovative, prosperous, and competitive, many experts and educators said the humanities needed to be integrated. In 2014 the Rhode Island School of Design, whose president had degrees in chemical engineering and computer science as well as traditional design, launched a national campaign to formally incorporate art into STEM. As a result, STEM started transitioning to STEAM. Michael Hadley ’10, who teaches students how to use code to design art at Art Institute of Chicago and University of Chicago, believes embedding art into STEM makes it more accessible to a broader audience. “I think it opens the doors to people who wouldn’t have thought they could get into this field,” Hadley says. Hadley remembers his high school’s fact-based approach to learning: Here’s the textbook, memorize these facts, recite for the test. He says it was in college when he was doing hands-on research to satisfy his curious and creative nature that he really became engaged and excited about his work. Embedding art into STEM also can give students some artistic license, which can reduce their fear of failure. This is especially beneficial as they are learning challenging concepts. But Hadley’s teaching goes beyond schools where he works. He recently teamed up with a company called Edovo, which provides educational software for prisons, to create a series of web development classes that were rolled out this past fall. And he’s working to advance STEM/STEAM education in low-income public schools on Chicago’s south side. “It’s important to increase access to art and technology education across the whole spectrum of gender and ethnic and socioeconomic backgrounds,” he says. We also need to do more to attract women and underrepresented populations to STEM fields, and a group of Lafayette faculty is leading the charge. The Inclusive STEM initiative is bringing people together from all different departments across campus, from the natural and social sciences to the humanities, to collaborate to make academic cultures more inclusive. Jenn Stroud Rossmann, professor of mechanical engineering, and Mary Armstrong, professor and chair of women’s and gender studies, are co-leaders of the initiative. They’re working with Bob Kurt, professor and head of biology, Chawne Kimber, professor of mathematics, Mary Roth, professor and head of civil and environmental engineering, and Kristen Sanford Bernhardt, associate professor of civil and environmental engineering and chair of the engineering studies program. Kristen Sanford Bernhardt, Mary Armstrong, Bob Kurt, Jenn Stroud Rossmann, Chawn Kimber and Mary Roth. 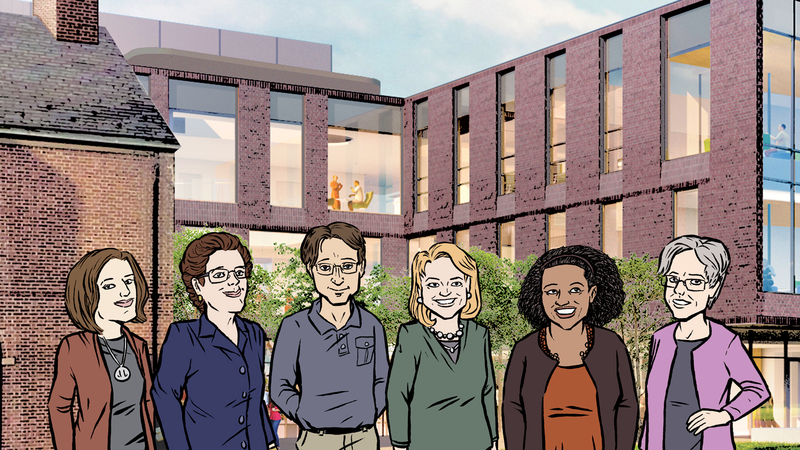 The College is taking a big step toward reaching that goal with the Daniel and Heidi Hanson ’91 Center for Inclusive STEM Education, which will be part of the College’s new Rockwell Integrated Sciences Center. When it opens its doors to students in 2019, the Center for Inclusive STEM Education will focus on fostering more inclusive STEM cultures and supporting the success of women and minorities studying STEM. Empowering women and minorities to succeed in STEM is important. But that’s just one piece of the puzzle, says Armstrong. A broader cultural shift is needed. It’s not just about inclusive excellence and elevating STEM through the addition of well-educated, highly skilled females and minorities. It’s also about creating a form of STEM education where both majority and underrepresented people have been educated in a setting where diversity is valued and inclusivity is second nature. There is considerable work to be done before such a setting is fully realized. Consider two examples spanning various generations of STEM education: James Damore and Lawrence Summers. Damore is a millennial software engineer who was fired from Google for a lengthy internal memo that blamed biological differences, not discrimination, for the low number of women in technology positions. Summers, on the other hand, is a baby boomer economist and former secretary of the Treasury who was fired as Harvard’s president for, among several compounding concerns, his comments on the innate differences between women and men as a reason for the underrepresentation of female scientists. Institutions like Lafayette have a responsibility to cultivate an environment that attracts diverse prospects, educates young minds, and challenges such STEM-limiting thinking. “Creating that truly inclusive culture here is the first step to creating meaningful and lasting change out in STEM industries,” says Armstrong. Landherr is aware of that disparity. As the father of two daughters and husband of an engineer, Maret Smolow ’05, whom he met at Lafayette, Landherr hopes his comics can contribute to a solution, especially as he works to get them into the hands of K-12 students.